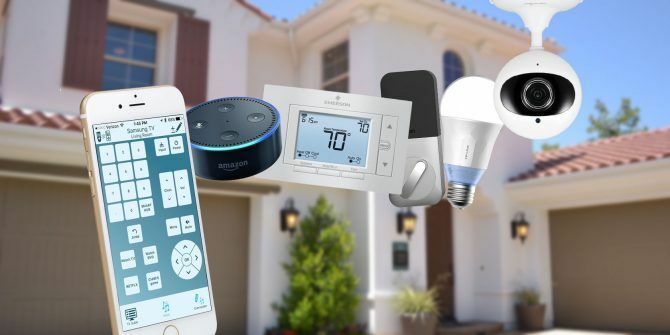 Do you want to have a smart home with lots of awesome features? Use these IoT products in your home to modernize your household. We’ve found some of the best products for you. We live in an era of smartphones, computers and wide Internet connectivity. What if you could use some of the smart home products to make your home safer, connectable and more enjoyable? Did you know it is possible to connect not only smartphones and computers but everything? Such as clocks, speakers, doors, bells, air conditioners, security cameras and basically any of the household electronics? Those devices can in fact communicate with each other to create a genius and pleasant home environment for you. Internet of Things is capable of all of that and is here to automate your home for better living and modernization. With home automation you can either control every possible device at your home from your smartphone, computer, tablet or even let it do the work by itself! It’s not science fiction, but more like the future of every home on the planet. Sounds good? Keep reading, we have more valuable information! With the automate ability to control your items around the house – literally every electronic device you can do what you want to do with a simple push of a button or a voice command. And this is already relatively inexpensive to set up! Amazon’s Echo is basically a relatively inexpensive Alexa powered Bluetooth speaker and voice controlled assistant. Alexa is a smart IoT software that has the advantage to connect with the internet, but also your home if you desire! When you set up your Alexa virtual assistant, you will be able to control every device you desire just by saying the right words and Alexa will do everything for you and save you your precious time. The inexpensive Echo Dot ($49.99) is exactly the speaker you need to make your first step to home automation system, but if you want to extend your user experience with a touch screen, you can check out Echo Show ($229.99). These products are more and more popular every day. Make sure you get your piece of a pie. The popular Wink Hub 2 ($199) is a home automation hub that works with a wide variety of devices and offers Wi-Fi, Bluetooth and 3 other types of smart connection. It is the device from the future. With this hub you can control anything from your lights and cameras to your doorbell and security system. It’s the most reliable, widely supported hub we’ve seen. This is the Logitech’s latest invention. If you don’t prefer the smart speakers and want to control your home in an old fashioned way, this device is built for you. With this smart universal remote ($296.95) you can control more than your TV and Stereo system. You can connect it to the included Harmony Home Hub to control your desired devices in your house. These smart Security Cameras are great to protect your home from unwanted guests. You can connect them with your smartphone and control your home even when you’re 1000 miles away. 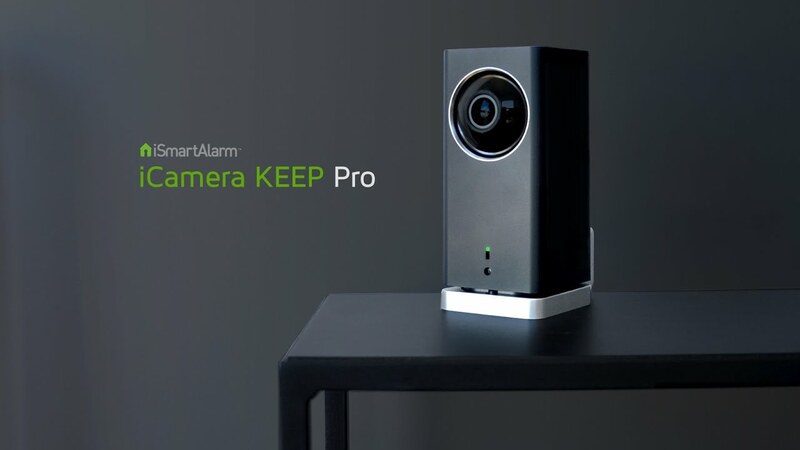 The iCamera Keep Pro ($144.99) is an amazing camera that can do much more than you think. It can be incorporated into an iSmartAlarm DIY Security System. It offers a powerful 1080p image sensor to get the best quality image, it also has motion and sound detection, a mechanical pan and tilt option that you can control from your mobile device, Time lapse recording and even a motion tracking feature that will follow the person around the room to see what they’re up to. One of the best indoor security cameras on the market. 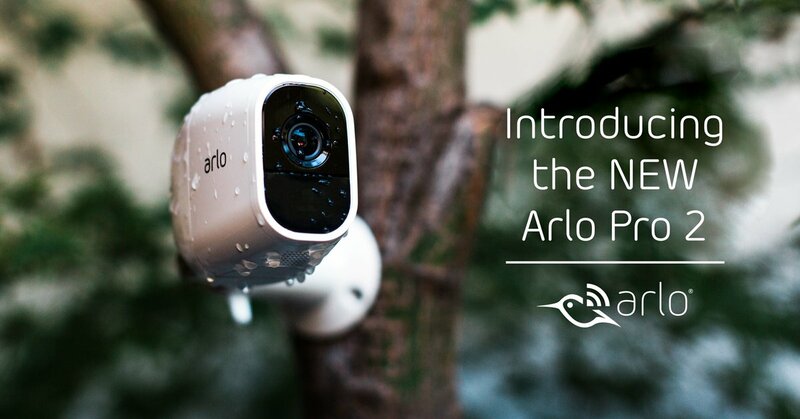 This Netgear’s Arlo Pro 2 kit ($429.99) is the latest invention in terms of surveillance cameras and offers some great technology for the user. It offers superb video quality, it is easy to use, has motion and sound detection, geofencing and of course ability to work with smart home devices such as smart controllers and speakers. It is also 100% waterproof so you can even place it outside. It runs on rechargeable batteries so you won’t even have to provide a power source. The 1080p Full HD video and lots of other great features have managed to convince us with this camera. This great looking security camera is a little bit different but not any less convenient. The SkyBell HD ($209.98)is a great replacement for your old door bell. With its 1080p Full HD video capability it’s one of the most desired smart bells around. 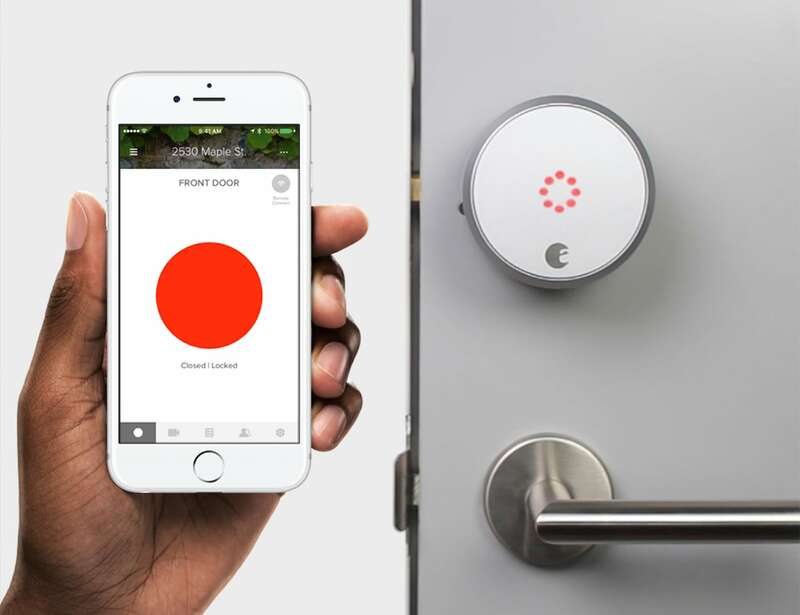 It lets you see and speak with whoever is outside your door. It also offers great night vision and captures several seconds of footage before the bell rings. It can also of course integrate with other smart home devices and comes with free cloud storage for the recorded videos. We say it’s a must have smart door bell! The Smart Lock Pro + Connect ($229.99) is the latest product from August Home inc., and it’s a bestseller for a reason. This 3rd generation smart lock offers more than you would imagine. It offers everything you get with the HomeKit model and adds a few new features, including August’s DoorSense technology, Z-Wave compatibility, and Wi-Fi connectivity. It’s very easy to install and can be controlled remotely or with Alexa, Google Assistant, or Siri voice commands. It’s a bit pricey, but it’s probably the best smart lock out there. If you like a DIY approach to save tons of cash to smarten your home security, then this is the right system to go for. The SimpliSafe Home Security System ($338.56) is a great bargain to smartening up your home security. When installed, this system will give you the most that you can get and make your home safe from unwanted guests, comparable to systems worth several thousand US dollars. It is easy to set up and use, and keeps your home safe from intruders and environmental threats (fires, floods…). You won’t spend much regarding what you get for this price. Of course this one can also be implemented in your smart home network and add to you home’s security and functionality. With this you can monitor everything remotely. The first on our list of smart Heating & Cooling devices is the Ecobee4 ($225) smart thermostat. Simple, well-designer, efficient and easy to use. On top of everything that it offers, you also get the remote temperature sensor to help reduce hot/cold spots in different rooms which we found to be a savior. This Ecobee4 has all the features than the previous model with a major difference being the Alexa connectivity and voice control capabilities. So this thermostat does basically everything that the Amazon Echo and similar products do – control smart devices in the network, play music, see weather – you name it! 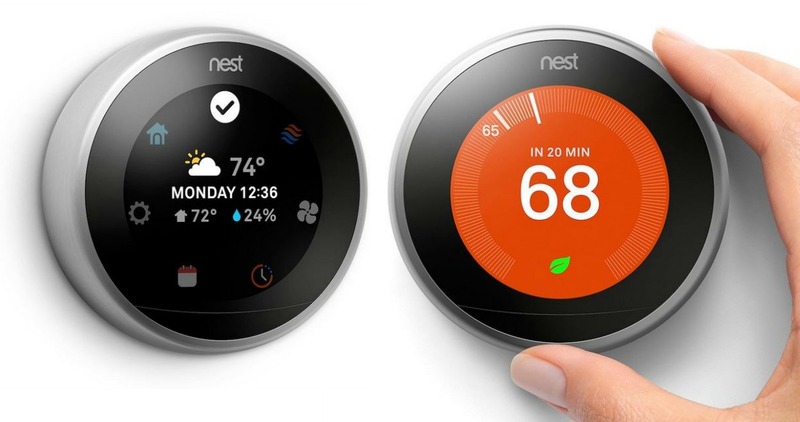 The Nest Learning Thermostat ($227.98) has so much to offer that we basically can’t put it in one paragraph. It has an easy temperature control for every room of your home, built in Wi-Fi connectivity so you can control your home’s temperature remotely from your smartphone, tablet or PC. The 3rd generation has a larger and even better looking display than the previous models + geofencing support and furnace monitor. Do you want to add a little extra in your smart home with smart lights that can be remotely controlled? We’ve got you covered! Philips did a great job with making their smart Bulbs ($49.94) that let you control not only the light’s intensity but also the color remotely. These bulbs can be a little expensive (see the price above), but can definitely add to your home’s dynamic atmosphere and last a very long time. They work with just about every smart system out there, from Alexa to Siri. If you want a white smart light bulb and not the color one, check this White Smart Light Bulb ($29.94) for a much cheaper price. Ecobee is the first to adopt Amazon Alexa in a light switch with this Ecobee Switch+ ($91.50). It’s basically a wall switch that can connect to your Wi-Fi and be controlled using a mobile app and do everything that the Echo smart speakers do, such as tell you the news, weather forecast, play music and control every other smart home device via voice control. It also works with other smart home systems and will also double as a remote room temperature sensor for the Ecobee’s smart thermostat. How cool is that? We hope we have brought some quality information about smart products that will modernize and upgrade your home. They are all great by themselves, but even better if combined altogether in a network. This way you can have full remote control of every smart device in your home with just a push of a button from your smartphone or computer. Need to feed your pet, heat up the home for when you come back from work, monitor if any unwanted guests come? These devices will definitely make your home and life better so you can have more free time and less stress.